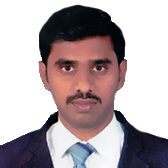 Syed is an expert in Microsoft SharePoint technologies specializing in SharePoint 2013 / Office 365 SharePoint Online and Windows Azure based Remote Event Handlers and Remote Timer Jobs. He had completed number of successful projects and fulfill client requirements in given time frame. He has experience in following domains: Oil and gas measurement tool, Queue Emailing system, Prepaid and Postpaid fuel card system and related industries. He has played a key role on several client projects and many strategic product development initiatives such as Annotate101 for Windows 8 and 8.1, and KLST Fully Responsive SharePoint Corporate Website.